Moonlady wrote: Orin, what's under the bed? Why do they want to go there? I'm not sure; I found the video on line! geckzilla wrote: Those are actually called catbeds. Didn't you know? It's funny how humans store everything in catbeds. my mistake, oooooooh I am so embarrassed now, I use cat-boxes for things to store and travel with catbeds! Another friend had a cat too, the cat loved her cloth-drawer-bed, it was just a little open to get in and out! I think ... there-fore i am. ... I think. Sniffle. I had a slightly similar experience with my cat. He got diabetes, and I had to put him on a strict diet and make him swallow pills. 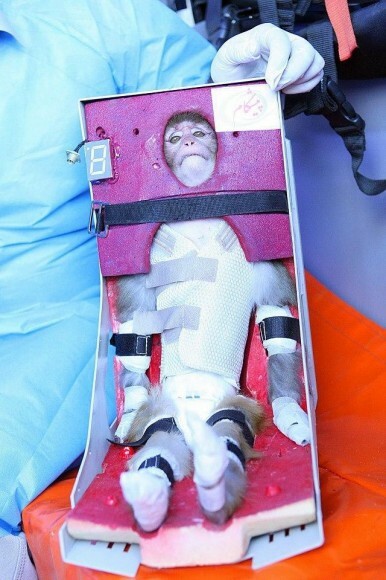 He hung on for a while, but he didn't enjoy his life, and his condition deteriorated. I decided to give him a lot of thin slabs of fine raw meat, and he was overjoyed. Of course, he soon got very much worse, and I had to put him down. Ann, I had a diabetic cat, too; I had to test his urine daily and, if needed, give him a shot of insulin. The shots were easy to administer (much easier than pilling a cat, any cat, even my placid big orange fuzzy). That cat died from a Hartz Mountain product about 16 years ago; I still get the diabetes-related mail that started coming to the house after I filled his prescription for insulin. owlice wrote: Ann, I had a diabetic cat, too; I had to test his urine daily and, if needed, give him a shot of insulin. The shots were easy to administer (much easier than pilling a cat, any cat, even my placid big orange fuzzy). That cat died from a Hartz Mountain product about 16 years ago; I still get the diabetes-related mail that started coming to the house after I filled his prescription for insulin. I must say... you sure seem to be involved with a lot of interesting things, in a lot of interesting ways. You're just not a typical Great Horned Owl. Thanks!! So maybe the Great Horned Owl could have used the toothpaste? Sassy has to have surgery tomorrow. She has bladder stones, and they can't be dissolved; so they have to be removed! she has been having continence problems and the stones are the cause! Hopefully everything will work out good. orin stepanek wrote: Sassy has to have surgery tomorrow. :cry: She has bladder stones, and they can't be dissolved; so they have to be removed! she has been having continence problems and the stones are the cause! Hopefully everything will work out good. I wish both your dogs a speedy recovery! Our Great Dane, Maia, had surgery this morning. Her stomach was duct taped to her rib (okay, not quite, but that's pretty close). It's a preventative procedure that greatly reduces the chance of stomach torsion and bloat that most large breed dogs are prone to. We'll bring her home this evening. Chris how is Maia doing! The vet called and Sassy is doing fine! I get to pick her up at 1:30 tomorrow. orin stepanek wrote: Chris how is Maia doing! Doing fine. A bit on the quiet side when she came home last night, but more active today. A good deal more active than I'd be with a 100mm incision in my belly! Sassy's home; and her spirits are high! Right now she is relaxing next to my chair in the computer room! She wanted a walk as soon as we got home; so I took her around the house once! Oh WOW! I have only just found this thread and have read it from start to finish! I came onto the forum with serious intent to ask an intelligent (possibly...) Question about today's Apod and have been waylaid by all these gorgeous animals. Regarding Orin and Chris's dogs and such fast recovery from surgery: Our newest cat, Elvira, was spayed on New Year's Day (yes! A vet open on a public holiday!) Elvira is the first female pet we've had and Paul and I were horrified to discover that neutering for a female was so drastic. Our poor baby!! Argh! So we were nonplussed when she came home, after just four hours away, yelling her head off and wanting some cream. Yes, we KNOW that it is not supposed to be good for them, but ELVIRA doesn't agree with this - and if you had ever heard her voice... Well, how something so small and delicate can make such a raucous din is past comprehension. Anyway, she slept a lot after that - but got over her total hysterectomy a great deal faster than human females do! Mmm, I've just tried to attach a picture of Elvira, but have been told that it is 'invalid'. No information about why. If any techie person reads this, can I have some guidance?? I have uploaded Photos before without a problem. PS. I have solved the uploading problem - the file name plus path was too long. Shorten it and NO difficulty! Last edited by MargaritaMc on Sat Feb 02, 2013 1:05 pm, edited 2 times in total. This is posted via my mobile phone rather than my Nexus tablet pc. It is the same photo that I was trying to upload - odd. Last edited by MargaritaMc on Sat Feb 02, 2013 1:08 pm, edited 1 time in total. You have a beautiful cat Margarita! orin stepanek wrote: You have a beautiful cat Margarita! This is our older cat, named Sam, who put up with this new little person arriving in his domain with great generosity. His companion of ten years, Syd, died on the 7th November and the very next day a tiny starving orphaned kitten turned up in our garden. I was so moved when Sam stepped back and let her eat from his bowl. For several weeks, she wouldn't allow us to approach her, but then suddenly decided that we were okay and has become hugely affectionate. We did try to find out where she came from, but all we could discover was that our friend Maria-Jose had seen her with an older cat, in the very early mornings, coming down from the nearby mountains to drink at our community's swimming pool. One day the kitten, who was then probably only about ten weeks old, was alone. Her mother had almost certainly been killed crossing the roads. So she was almost certainly feral. But she has now decided firmly to become a house cat! And has trebled in size from the tiny fistful of fur and bones that she was in November. But she is still less than half Sam's size... He is a seriously BIG cat! Both your cats are lovely, Margarita! I'm not sure why, but I expected more cat pictures. 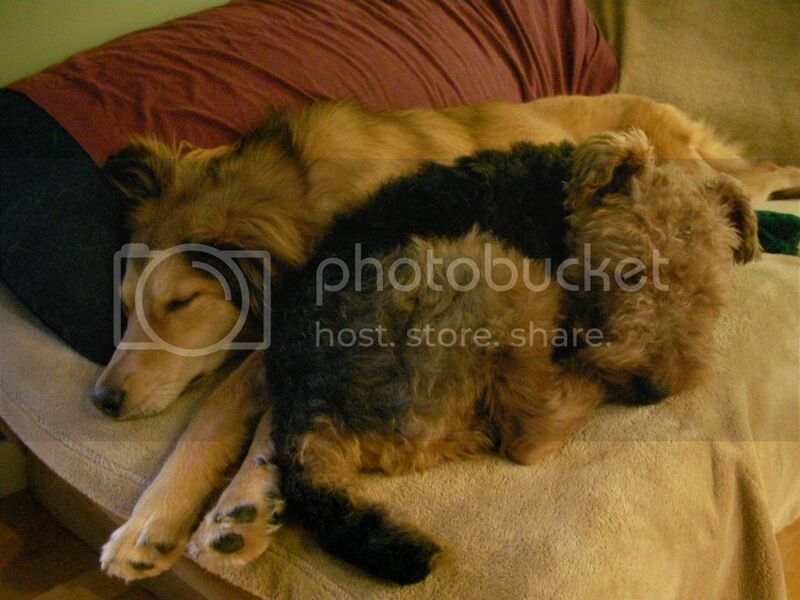 We've got a Welsh terrier(Joe) and a Sheltie/Lab cross(Annie). SJoe said I'm not sure why, but I expected more cat pictures.